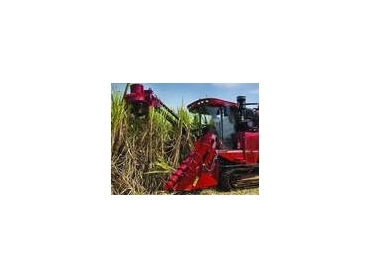 The release of Case IH's first all-new harvester in a decade comes at an ideal time for Australian cane growers, with the domestic industry expected to cope well in an economic climate that is proving tough on other sugar producing nations. "As a primarily domestic sugar market, Australia is considered to be relatively shielded from the global economic uncertainty, and the devaluing of the Australian currency against the US dollar could see farmgate incomes increase," says Stuart Brown, Case IH Marketing Manager. "Case IH's new harvester can help Australian growers capitalise on any rise in sugar prices through increased productivity and uptime, and reduced maintenance requirements during harvest." The harvester's cooling package has been completely redesigned so that debris removed from the cooler's screen is ejected from the bottom of the module and thrown clear of the harvester. "In addition to the enhancements made to the cooling package, the engine compartment is now pressurised in order to keep debris out and reduce service requirements. On top of this, the 8000 series harvesters feature a new chopper system with best-in-class productivity." Case IH is also introducing the latest AFS autoguidance system to simplify operations. "With the new AFS, guidance paths can be created from Google Earth coordinates, which means the machine does not have to have been in the field to ‘save' guidance lines as history for repetition," Stuart says.